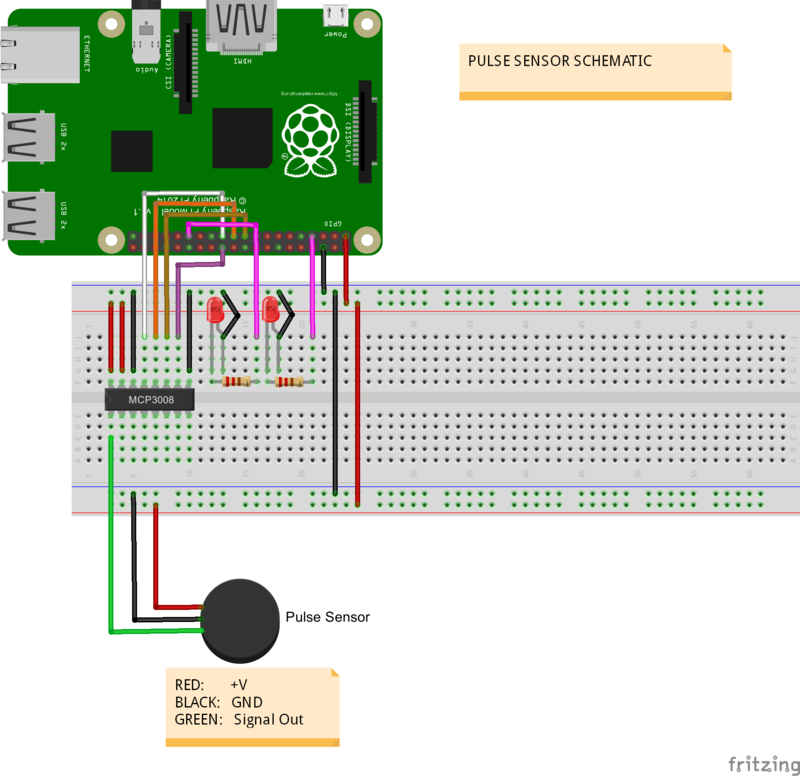 Heart Pulse system made up of Raspberry Pi2, MCP3008 and Pulse sensor. This project shows a simple way to create your own healthcare system. The system uses an ADC in order to acquire the data coming from a pulse sensor. The hardest part of the project has been plot in a chart the heart pulse in real time, to do that I decide to try the DevExpress UWP chart component discovering that it's pretty cool! Learn more about DevExpress UWP. I used the following component, it's very funny and it's not an expensive device, for more details please visit this link. 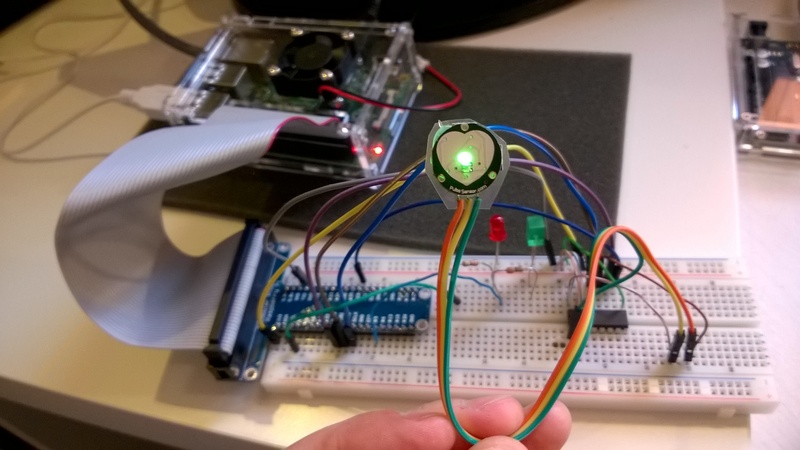 Captures data arriving from Pulse Sensor via ADC chip and converts into equivalent pulse. Once the data is captured, it will be plotted to DevExpress UWP chart. It is not feasible to show and explain code here. Please look out my GitHub repository to understand code. The circuit uses one ADC (MCP3008) connected to the Raspberry via SPI. The 2 LEDs indicate when the GPIO is ready (gpio 4) and the second one when the SPI is ready (gpio 5) to comunicate with the ADC. The Pulse sensor is connected to the first pin of the ADC.